Creating printed standard operating procedures manuals is a thing of the past. Such manuals are often outdated, confusing and are not very practical in the modern on-the-go business environment. If you want your employees to follow established standard operating procedures, mobile checklist that they can access from anywhere on the smartphone or tablet is much more effective. 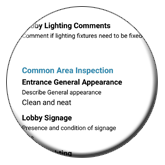 Your employees will have instructions in front of them each time they need to complete a routine task or inspection. 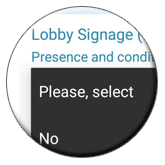 No matter where they are: in the office, on the client site or in the field, they can access up-to-date checklist for this specific workflow. You can keep your standard operating procedures checklists up to date regardless of how often your business workflow is adjusted, and get a real time insight into the status and completion of the tasks. Checklists with detailed instructions and images to illustrate the task are very effective in reducing errors and increasing productivity. Using QR Mobile Data, you will be able to create mobile forms and checklists for all operating procedures you have in your business, and link checklists to the specific group of assets, properties or other business objects. Your employees will get the correct checklist on their smartphone by scanning QR code label on the asset or property. They can keep track of the progress by checking off completed tasks, and provide comments and images on each task if applicable. When everything is done, they submit completed checklist to a centralized cloud location, from where it is available to all authorized employees. No matter what business you are in and how often you adjust your workflow, you will be able to create checklists that fit your process and are always up-to-date. 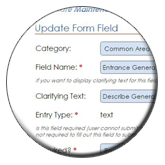 Create clear and concise checklists for the standard operating procedures via the web dashboard. Include detailed instructions and optionally a clarifying image for each step / task. Create different checklists for the different group(s) of assets or properties, or make checklists that are valid for all your business objects. Your employees will access a correct set of checklists by scanning QR code label on the asset, property or project they are working with. Add other fields as needed, so that employees could add notes or other details for each task, or take photos. Add or update checklists as needed. Your employees will always have up-to-date checklists on their mobile devices. Divide large list of tasks into categories for clarity and easier completion. Make tasks required or optional. Employees can complete the entire checklist at once or in steps. The completed part is auto saved on their smartphones, and can be accessed later when they resume their work. 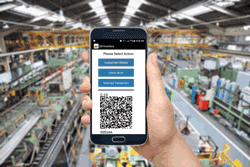 Whether your employees need to inspect equipment in the field, complete property assessment or maintenance, or complete a next assembly step on a factory floor - they will have process instructions readily available to them on their mobile devices. An employee scans QR code on the business object he is working with to access relevant set of checklists. As an employee is moving through the workflow and completes the tasks, he marks completed tasks off, and can optionally add additional details and / or images. An employee can stop at any time and resume his work later. All collected data are saved on a smartphone, so there is no doubt what had been done and what yet needs to be completed. An employee needs to complete all required tasks before the form can be submitted. If signature is required, at can be obtained and attached to the completed checklist. As completed checklist is submitted to the cloud, all authorized users can access collected information, via the web interface or on the mobile devices. Give all authorized employees real time visibility into the business operations progress and completion status. Make sure that routine tasks are not forgotten and are completed on time. As soon as checklist is completed, it is submitted to the cloud and is available to all authorized employees. Administrators in the office can access submitted records via a web dashboard, and search them by multiple parameters. They can get a list of completed tasks by date, by asset or property, by employee, or by specific tasks in the checklist itself. All authorized employees in the field can review completed checklists for an asset or property by scanning QR code label with a smartphone. Make sure that all maintenance tasks are performed on time. Indicate how often a specific task set should be performed, and receive automatic notification when it is time to do these tasks again. Customize reminders: set how many days in advance you want to receive an email alert, what should be the subject and the text of an e-mail message. Receive alerts if tasks are not performed on time.